Safety is not an expense, it is an asset. Safety is a part of absolutely everything The Pangere Corporation does. Every member of the company is involved in practicing and continually developing its culture of safety. Ensuring workers return home safely to their loved ones each day is a moral obligation that Pangere holds closely. As such, Pangere has been honored to receive the Contractor Safety Award for Excellence from the Northwest Indiana Business Roundtable (NWIBRT) on several occasions. But it’s not all just about protecting workers. It’s also about protecting the community’s most vulnerable individuals too. To meet this goal, The Pangere Corporation has become one of the only leading regional contractors that specializes in infection control when working within healthcare facilities. 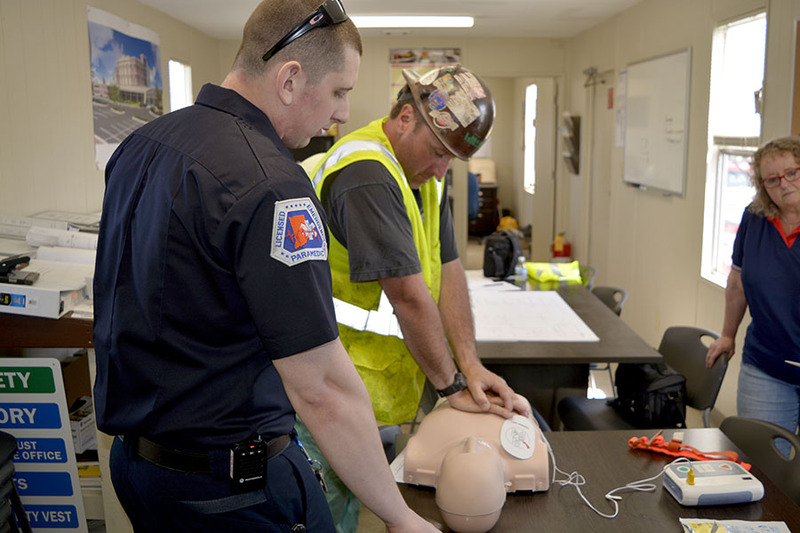 Construction ICRA (infection control, risk assessment), spearheaded by the United Brotherhood of Carpenters, is an advanced training program for carpenters that work medical facilities. Construction workers who pursue ICRA certification learn how to help prevent the spread of bacteria, fungus, mold, and infection. Patient safety is a priority for ICRA-trained construction workers, and they integrate into a team that includes infection prevention officers, healthcare administrators, physicians, nursing staff, food preparers, and facility management.